(This is a post that's been in draft form for a while). I recently finished The Five People You Meet in Heaven. After peeling my eyes off of Harry Potter and the Half Blood Prince (and feeling a significant hole in my life that only finishing a good book can create), I decided it was time to move on to something else. Why I read this: I found this book in a box while I was unpacking. It's not very long and it's moved from place to place with me for a while, so I decided to give it a shot. Summary: Eddie, a veteran and employee at an amusement park, dies from a tragic accident on his 83rd birthday. He awakens not in heaven, but in a place where he is re-connected with five people from his former life, one at a time. SPOILER ALERT: The 5 people Eddie meets along the way are: 1) the blue man from the carnival he worked at as a kid, 2) his army captain from when he was deployed, 3) the woman who (with her husband) were the founders of the amusement park Eddie worked at, 4) his wife, and 5) the little girl he always though he saw in a fire during the war. Relating to the story: The idea of heaven and the afterlife fascinates me, maybe because I am always on a search to define my own beliefs. This story made me think about 5 people I might meet in heaven, (which I share below). I also loved the idea of being pain and worry-free after I leave this earth, which is something expressed throughout the book by Eddie's character. Likes: I really liked the author's writing style and how he flipped between the past and present without much confusion. I also loved how he began each chapter telling the story of one of Eddie's birthdays. Rating: 5 out of 5. I loved this book soooo much. After reading this, I thought alot about who I'd like to meet in heaven. I immediately thought of Alex, my grandparents. Immediate family and friends. But the book portrays meeting "unexpected" people, so I tried to think of people I'd like to meet throughout my life that I maybe wouldn't be expecting. 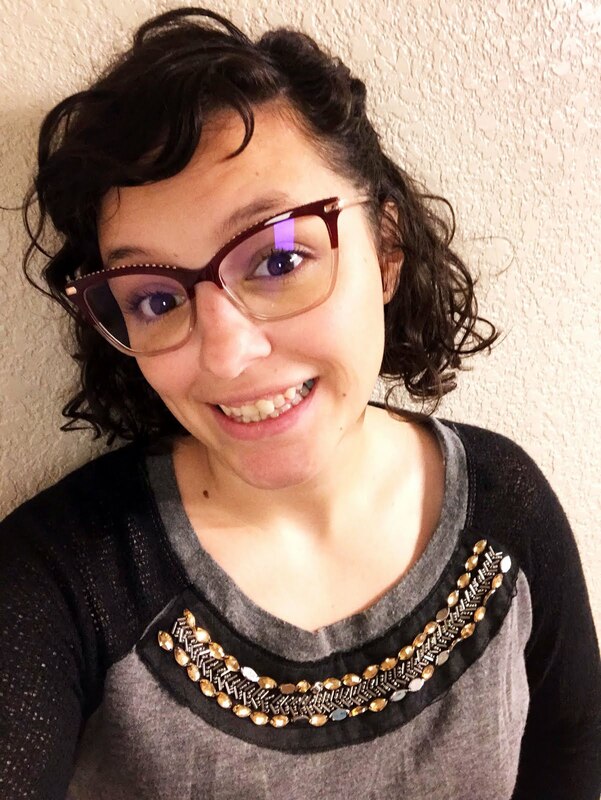 #1: My friend Rebecca from my early 20s, who was the coolest person I had ever met, and who introduced me to punk rock music, being adventurous, and living free. #2: Colonel Wargo, my JROTC Commander from high school, who was tough but loving. #3: Mimi, the mom of one of my high school boyfriends, who was like a Mom to me, and loved with her whole heart. #4: Ms. DeChatle, my second grade teacher. I remember her being fun and nice, and loving her students and teaching. #5 - I couldn't come up with one person for #5, so I chose a few: the singer from my FAV band, Bayside. Ali Edwards, Mike, a cop that used to say "Good Morning" to me every day when I arrived at the train station, or some of our past furries and friends who are gone now. Maybe #5 could be a big group of people I knew + loved, which would be super amazing + fun! So there you have it! Definitely read this book if you can. PS: You can view a shorter version of this book review on my Good Reads profile. Also, see what other people thought of this book here. One of the books I recently finished is Wish You Were Here by Stewart O’Nan (sadly, no references to the Pink Floyd song). I’ll start out by saying first: it took me a freaking long time to finish this book...like 2 months. I picked it at the beginning of December. Yeah, it was bad. Not the book, just finishing it! Why I read this: I wanted to read a book I already had and found Emily Alone, which is apparently a follow-up to this one, so I decided to pick this one up to read first. And I wanted something "light" to read. Summary: This book is about a family that returns to their summer house for the last time for a week-long vacation, right after their beloved husband/father/grandfather passes away. The story is broken down one day at a time through each character’s eyes. Relating to the story: I’ve never had the experience of going away somewhere for the summer, but the location in the story reminded me of the lake community where my in-laws live. Combine that with the craziness + drama that each of the family members had going on and it's my kinda tale! Likes: I really liked the switch in character views! If there’s not too many to keep track of, this is one of my FAV types of reading. Also the struggle the family had with divvy-ing up the personal belongings of the father that passed away was something I could definitely relate to. Dislikes: As I said, this took FOREVER to read. I found the writing to be really overly detailed. Also, there really were no cliffhangers or climaxes to the book, which kinda made it go on and on. Rating: 3 out of 5. I definitely will read the next book, Emily Alone. But more because I already have it. Thanks for reading this book review! Have you read this one? Let me know in the comments. Let’s talk books! I’m back to the days where I’m glued to books, like when I was a teenager, reading Harry Potter in my room on summer vacay + hiding from the real world. (Well, sorta...except I have responsibilities + a job + adulting to do now). Traveling on the train to + from Chicago, I have about an hour each way to do whatever I choose. 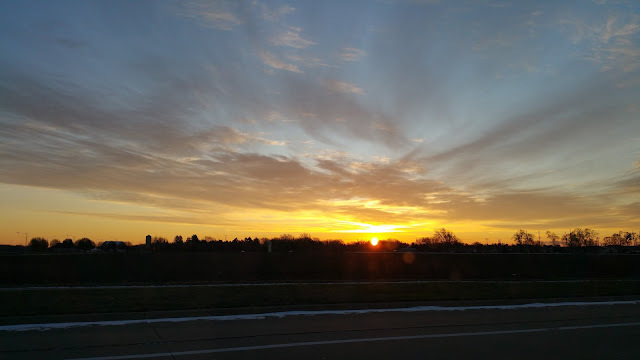 I often get asked about my long commute, but truthfully I love it since it is at least two hours of uninterrupted me time a day (surrounded by dozens of strangers). So since I haven’t had lots of time for my FAV hobby, memorykeeping, I’ve been filling it with reading. I used to read avidly when I was younger, then there was a period recently where I didn’t read a book for a year or two. But now I’m consistently reading again and I love it! I love all kinds of books (with the exception of romance novels...ugh). I’ve been frequenting Good Reads a lot, where I share my currents, my ratings on books, and my want to reads. (Are you on Good Reads? Let’s be friends!). I’ve been enjoying reading so much that I’m thinking I might create a mini album with my book reviews + what I’ve read. Of course, that’ll be on the back burner for a while, so in the meantime, I think I’ll share my reviews + opinions in this space, as a home, until I can move them into something more tangible. Until then, back to reading! One of the fun things I've been wanting to participate in again lately is Counterfeit Kit Challenge. Much thanks to my friend Doreena (who was sharing her made-up kits + projects using the challenges each month), I decided to play along this month. If you have no idea what I'm talking about, the concept is very simple: create a scrapbook kit each month using only supplies in your own craft stash, inspired by the kit they choose for that month's inspiration. In the scrapbooking industry, so often we are focused on the latest + greatest products that we forget all the things we already have in our stash that we loved at one point. my "papers" for the kit. my embellishments for the kit. 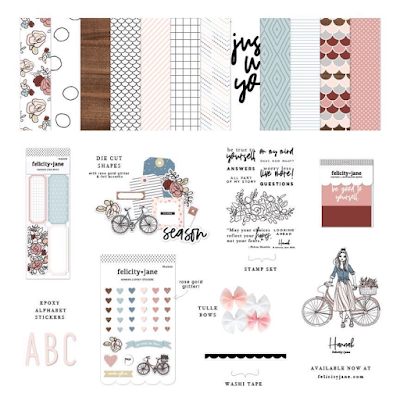 I have to say, I loved loved loved this month's inspiration kit: the colors, the florals, the bicycle + tags/labels. It was all sooo cute and inspiring! Now, it's not exactly the same, but that is the beauty of this challenge: you take the inspiration and use your imagination + creative mind to make it yours! My "papers" are all Project Life cards. all except for the top left two are Maggie Holmes Open Book Core Project Life kit. both of the top left cards are In A Creative Bubble. all 3 alphas sheets are October Afternoon. (Had these for at least 3 years!). chipboard sticker sheets are from Teresa Collins designs. bicycle die cut is Simple Stories. left label stamp set is Kellie Stamps, right label stamp set is Kelly Purkey. 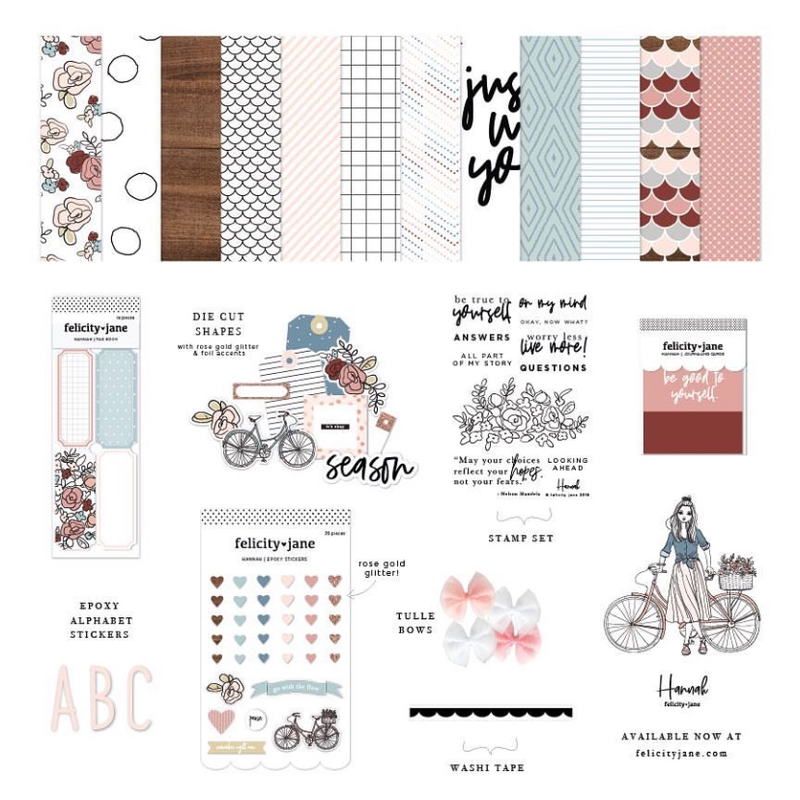 washi tape sheets + phrase stamp sets are Heidi Swapp. So there you have it! This was super fun to put together and I really loved "shopping my craft stash." And here's a peek at something I already created with the kit, which I will share manana!